Stayin’ Alive Canada is the ultimate Bee Gees experience. 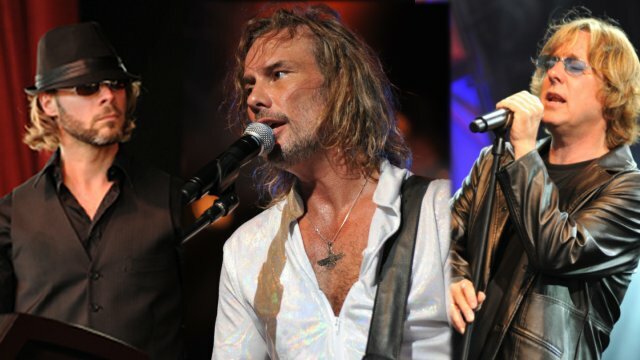 The precise harmonies of the Gibbs have made the Bee Gees one of the most impossible attractions to reproduce until STAYIN’ ALIVE came on the tribute scene. The falsetto vocal match and authentic look of Tony Mattina (as Barry), Todd Sharman (as Robin) and Mitch Morrison (as Maurice) will blow audiences away as they re-live those incredible Bee Gees memories of the 70’s. STAYIN’ ALIVE is an all-Canadian cast from Ontario, backed by studio musicians, that captures the sound and look of the Bee Gees. STAYIN’ ALIVE performs all of the great Bee Gee hit songs, including: “I Started a Joke”, “Night Fever”, “Jive Talking”, “How Deep is Your Love”, “You Should Be Dancing”, and “Staying Alive”, among many others. You’ll truly think you’re watching the real thing! 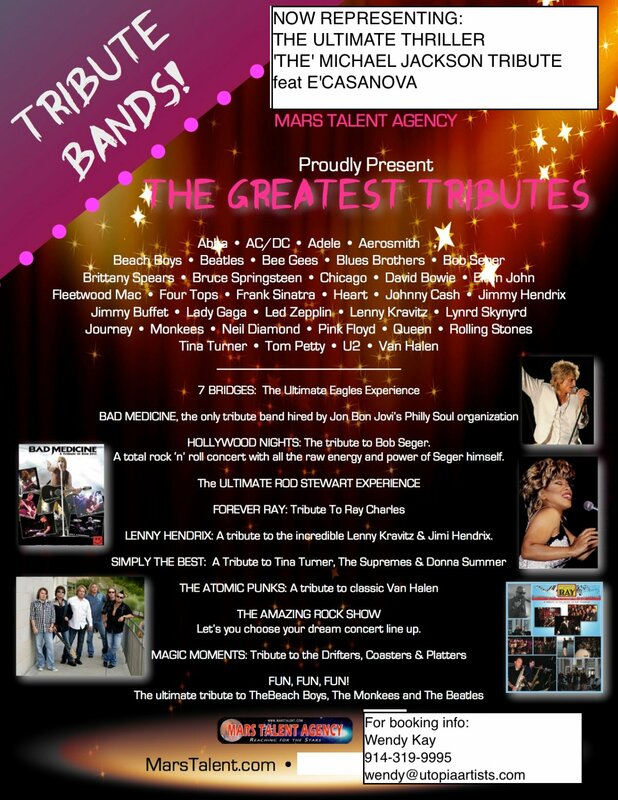 Our tribute artists are all seasoned professionals and are among the top tribute bands in worldwide demand. From tours, festivals, concerts, corporate events, private events, Mars Talent Agency is here to help you turn your event into an exciting experience that will leave a lasting memory. Whatever the occasion, Mars Talent Agency can help you make your event a huge success!